"We need to co-travel with other like-minded groups to defeat these forces,” Mevani said at an event to mark the birth anniversary of journalist Gauri Lankesh, killed last year. 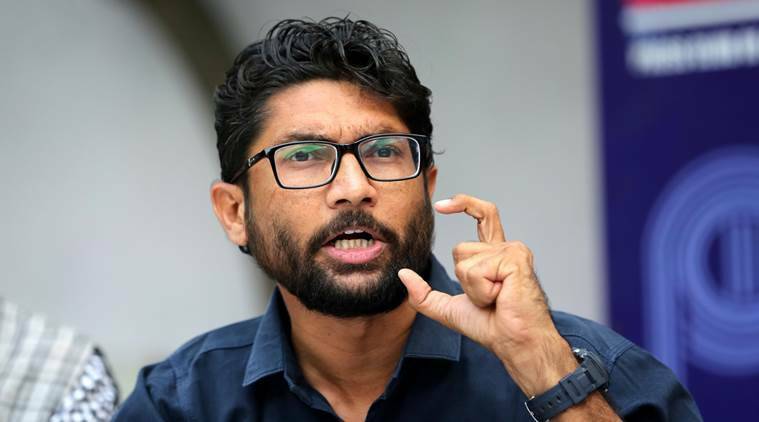 Urging all non-BJP opposition parties to put up a united fight in upcoming Karnataka elections, new Gujarat MLA Jignesh Mevani on Monday said that people and politicians have to make “ideological compromises”, and that “we cannot be stuck in our ideological purity”, in order to protect democracy. “We need to co-travel with other like-minded groups to defeat these forces,” Mevani said at an event to mark the birth anniversary of journalist Gauri Lankesh, killed last year. Among others who attended the event — Gauri Day — was Lankesh’s filmmaker-sister Kavitha Lankesh, actor Prakash Raj, activist Irom Sharmila, freedom fighter from Karnataka H S Doreswamy, and activist Teesta Setalvad. Appealing all diverse groups opposed to the BJP to unite, Doreswamy said, “Modi should not be allowed to capture Karnataka. If that happens then the entire country is in their hands. It (Karnataka elections) is a litmus test.” “I will be in Karnataka for four weeks in April. I will ask the 20 per cent Dalit people in the state not to cast even 20 votes for these people (BJP),” Mevani said. Meanwhile, Gauri’s brother Indrajit said he will move the High Court for a CBI probe into her death. “I feel politically it (probe) is going as one-sided,” Indrajit said. Kavitha said there has been good progress in the SIT probe, and that she has “trust” in the SIT.